Rich is a Paramedic Field Supervisor in our Ionia County operation, and he exemplifies the best of Life EMS through his professionalism, dedication, and compassion. He joined Life EMS in 2008 as an EMT, and two years later he earned his Paramedic certification. Fast-forward two more years, and Rich obtained his critical care Paramedic certification, and in 2013 he was promoted to field supervisor. Always smiling, Rich presents himself in a confident and professional manner. He maintains a calm, reassuring demeanor with his patients and a cheerful, educational attitude with coworkers. Rich is supportive of his coworkers both in their personal lives and professionally. He is always ready to help a new associate, and shares his knowledg as a very patient trainer. As a supervisor, he listens to all sides, and he doesn’t mind if someone calls him at home to trouble-shoot an issue when the on-duty supervisor is out on a call. Over all, Rich leads by example and keeps the best interest of the communities we serve front and enter at all times. 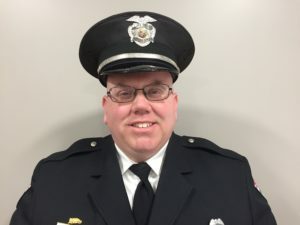 In the past, he has covered countless hours as an on-call supervisor when needed, and he continues to step up and fill partial shifts to make sure staffing levels are maintained. Rich was instrumental over the last many months as we worked to implement HealthEMS Mobile Touch. He was one of our original beta testers and worked tirelessly on documenting using Mobile Touch to help identify issues and improve the product as we prepared it for roll-out. His feedback to Life EMS and to the vendor was very helpful. Rich also helped train his fellow associates. Rich is a true family man. He drives the Belding Band, supports the drama arts, and encourages his children in all that they attempt. In addition to all the community activities he participates in, Rich is also an active firefighter with the Belding Fire Department.